We provide ophthalmic automation systems and the value-added services, including the fastest installations and start-ups in the industry, as part of our proven turnkey process assisting manufacturers of lenses for eyeglasses and sunglasses around the world. NCCAS is both an integrator and manufacturer for ophthalmic automation systems. 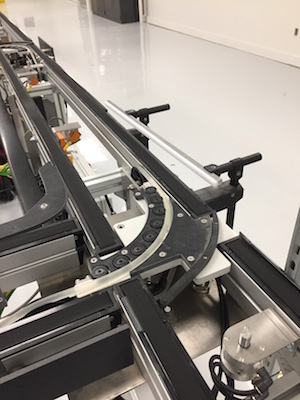 When system footprint and conveyor control are challenges you face in your optical lens manufacturing facility, NCC has an equipment solution with the project management skills to see the project through. 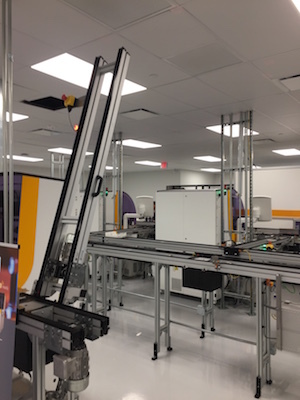 With over 15 years’ experience and a dedicated team to help optical labs with their automation needs (and 30+ years running similar capital equipment projects in other industries), our turnkey automation systems designed specifically for ophthalmic laboratories are the right fit for your project, no matter the size. No matter the challenge your ophthalmic automation project presents, we have a solution for it and a proven process to execute it. 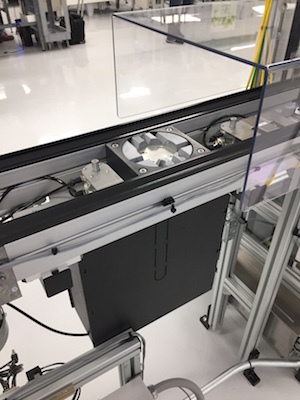 Our partnership with Satisloh means we bring with us the knowledge, innovation, and insight of complex ophthalmic automation to every project. Our equipment, devices, conveyors and controls are all designed specifically for the ophthalmic automation industry. Our dedicated ophthalmic engineering and sales teams are experienced with providing service for any size project. And, our turnkey solutions have quick turnaround times since we manufacture the majority of what we supply. Michael Milkowich, Mechanical/Industrial Engineering for NCC Automated Systems, discusses the Top 3 Tips for Lab Managers to Be Prepared for High Volume Sales Periods. The NCC installers in our lab were worth their weight in gold. They were extremely helpful. They went out of their way to explain things on the conveyors that we had to install. I cannot thank you and your staff enough. Chuck MacGregor has been extremely customer focused throughout this entire process and I am very impressed obviously with the attitude of yourself, and your staff for making Sods La Crosse such a priority. Thanks for your partnership!